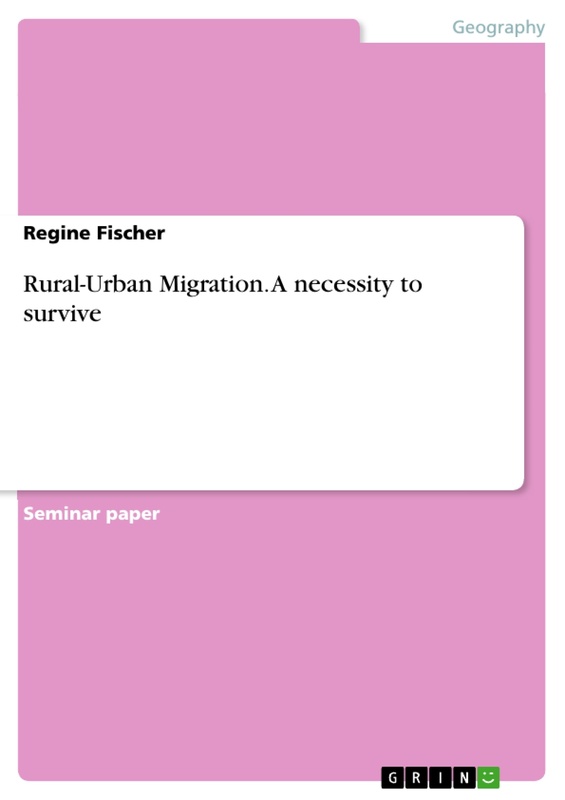 2.1 What is rural-urban migration and what causes it? Migration processes have been existent throughout all times and in all regions of the world. 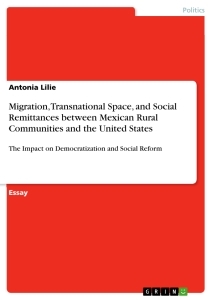 While the original triggering in former times had been the search for more favorable conditions and not yet or only sparsely populated living spaces, patterns of migration underwent many changes since industrialization. In Europe the period in the 18th century was marked by a migration waves from the countryside to urban areas in unprecedented form and extent. 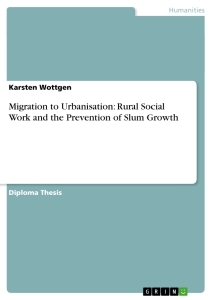 But in comparison to European migration and urbanization processes as we know them the developments in developing countries are of a whole different dimension. Population and rates of population growth are by far higher than they had been in Europe which leads to increasing dynamic urbanization but also severe side effects. In most of the so-called developing countries employment possibilities and housing facilities are not sufficient at all to absorb the huge influx of people moving into the cities. While European cities had been able to at least offer enough jobs to incoming migrants many cities in Africa, Latin America or Asia face severe problems like unemployment, poverty, pollution or crime. 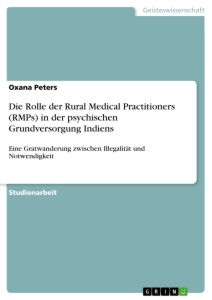 This paper is going to deal with the pattern of rural-urban migration in general in the first part, followed by some explanations about the special case of China that sets certain criteria to migration, trying to control the movement of its people. The question behind these topics will be the following: To what extent is rural-urban migration a desirable phenomenon and how can local authorities intervene? 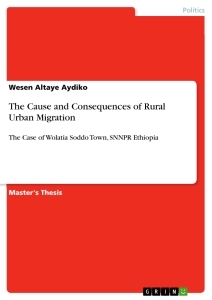 Rural-urban migration is a form of so-called internal migration which means a movement within a country and which stays in contrast to international or intercontinental migration. It refers to the movement of people from the countryside respectively the rural areas into the cities, often the metropolitan cities of a country. This change of residence is often connected with the migration of labor and a career change from primary to second or third sector - not necessarily, though, as it can refer to the migration of people who are not working in agriculture or farming as well. 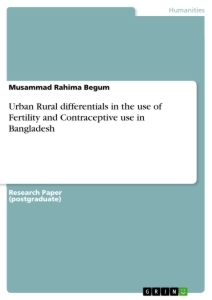 - non-economic pull factors include social factors such as the hope for better healthcare and education provision or the urban facilities and way of life in general as well as factors like protection from conflicts, family reunion and family networks (i.e. that it is easier and more likely for people to migrate if they have relatives in town) (c.f. GEBHARDT et al. 2007: 291). With these push and pull factors in mind one can imagine that there are crucial changes and results in both areas of origin and destination caused by these movements from the countryside to the city. The increasing numbers of people moving towards the large urban areas cause three things to happen. First - urban growth which means that towns and cities are spatially expanding. They cover an increasing area of land, mainly because there aren’t enough housing facilities in the city itself so that new incomers often have to move to shanty towns that are increasing in size and number. Second - urbanization which refers to the fact of a significant increase in the proportion of people living in cities in the total population. Third - rural depopulation which usually means that large numbers of working age people migrate from the countryside to earn more money in the city. 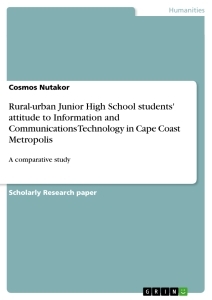 But then they leave behind the very old and the very young, causing further problems in rural development as the young, skilled adults are missing. 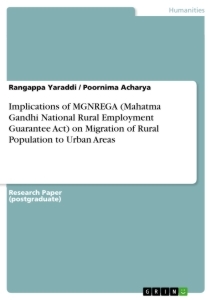 At the same time it has to be mentioned that rural-urban migration also can have a positive effect on the rural areas namely by the fact that many migrants once settled in a city remit to their family in the rural area of origin - money that could contribute to further development in the village of origin (c.f. ST DUNSTAN'S COMMUNITY SCHOOL). What can be stated at this point is that the attraction to urban areas is high because people think that they will have better opportunities to work there. Indeed, for some of them life becomes better and living conditions improve. However, a lot of migrants end up in poverty because many cities are not able to absorb the large influx of new residents in a proper way. 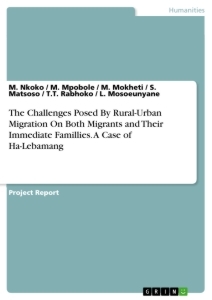 This leads to the association of rural-urban-migration with problems like poverty, insufficient sanitary conditions, sub-standard housing, growth of slums and shanty towns increasing air pollution, congestion, crime or insecurity. Which of these factors are more challenging and urgent is regionally different (for instance, China quotes air pollution, crime and congestion as negative consequences whereas Ghana presents slums, poverty and lower quantity and quality as the main issues). Obviously, there is no universally valid evidence possible about the question who migrates most. Still the migration decision has shown to be somehow selective in society. It mainly concerns young adults who already have relatives in town, because “they are more likely to have a positive net expected return on migration due to their longer remaining life expectancy” (LALL et al. 2006: 4). 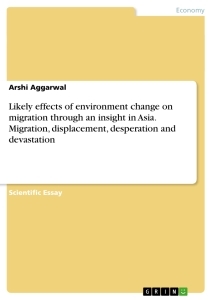 Additionally the internal migration has a gender aspect in many countries as most migrants are young male adults. Usually urban job markets offer a large share of occupations available to rural male migrants; another reason might be the fact that “men bear lower risks of vulnerability than women when migrating” (LALL et al. 2006: 4), as women usually migrate less or to a shorter distance - typically they specialize in different economic activities (services and processing).